Feb. 19, 2019 — Donate, shop and support our ever-popular annual Tack Sale set for Friday, April 26 and Saturday, April 27, on the grounds of Fieldstone Farm! Last year we raised $10,000 to support our student programming! February 4, 2019 – We have updated the horse pages of our website with more pics of our amazing herd. Click here to see all of our horses and their stories. Feb. 4, 2019 — Are you ready to become a PATH Certified Instructor? Fieldstone Farm will host a PATH International Registered Level Workshop and Certification Aug. 8-11. Jan. 17, 2019 — Are you interested in advancing your knowledge of therapeutic horsemanship? Is it your dream to become a therapeutic riding instructor? Are you a volunteer committed to deepening your understanding of equine-assisted therapies? If so, the experienced instructional team at Fieldstone Farm has developed an all-new information-packed series designed to improve PATH Certified Instructors’ teaching skills as well as to provide guidance for those interested in the certification process. Jan. 17, 2019 — Join us for a summer filled with horses, fun on the farm, and making new friends. Our Summer Camp, sponsored by The Reinberger Foundation, is designed to help campers discover new interests and inspire their curiosities in week-long day camps starting June 3 and running through August 2. 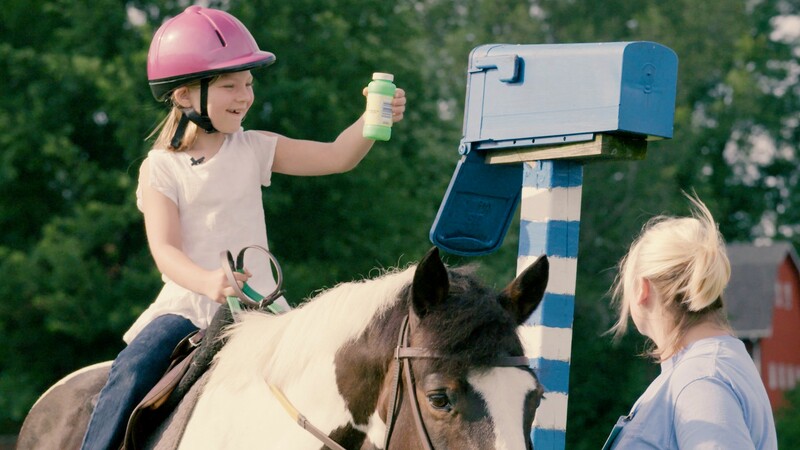 Each day campers ride horses, engage in themed activities, and explore our 45-acre farm just outside of Chagrin Falls. Xena looks like she is settling in quite nicely, and Oliver seems to be enjoying the experience. Kudos to all! There is nothing more relaxing than a trail ride with Kevin and Alli from the Music Settlement. Looking forward to working with Kevin tomorrow!